Planning some quality me-time? 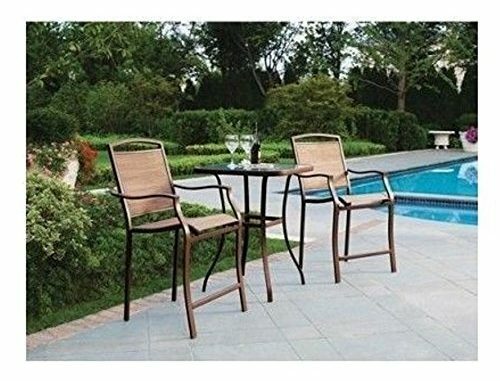 Outdoor bistro tables and chairs will allow you to have your coffee time or tea time in the backyard relaxingly. When searching for the perfect set, there are many things to keep in mind. 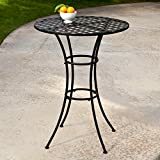 Below are ten best outdoor bistro table sets that will guide you to the perfect option that suits your purpose. 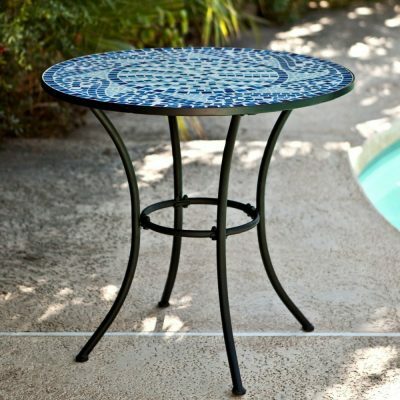 Coral Coast Coral Coast Marina Mosaic Bistro Table, Mosaic, 30W x 30D x 28H in. This outdoor bistro set has the classic look that could catch everybody eyes. It is made with cast aluminum with hallowed and carved designed added to both table and chairs. 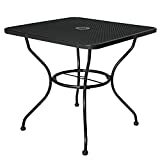 Costway bistro table is constructed with waterproof desktop which also prevent itself from corrosion. Plus, the base is round and large to ensure the stability of the table. It is equipped with 41 inch bar to add more comfort when you are standing or sitting for chatting. This outdoor table is capable of holding up to 110 pounds without worrying about it getting crushed during using. 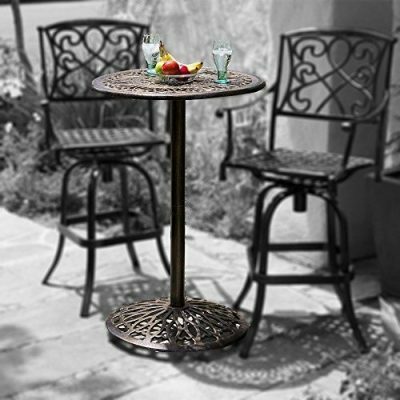 One of the coolest things about this Dali bistro table set is its elegant style that is added to your environment. 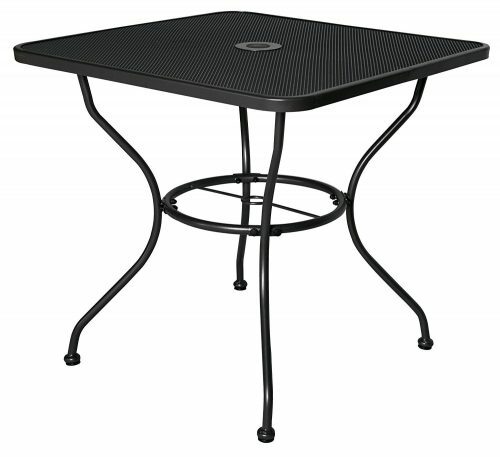 Dali patio bistro table is the combination of cast aluminum frames and flat top that is ideal for outdoor dining or seating. 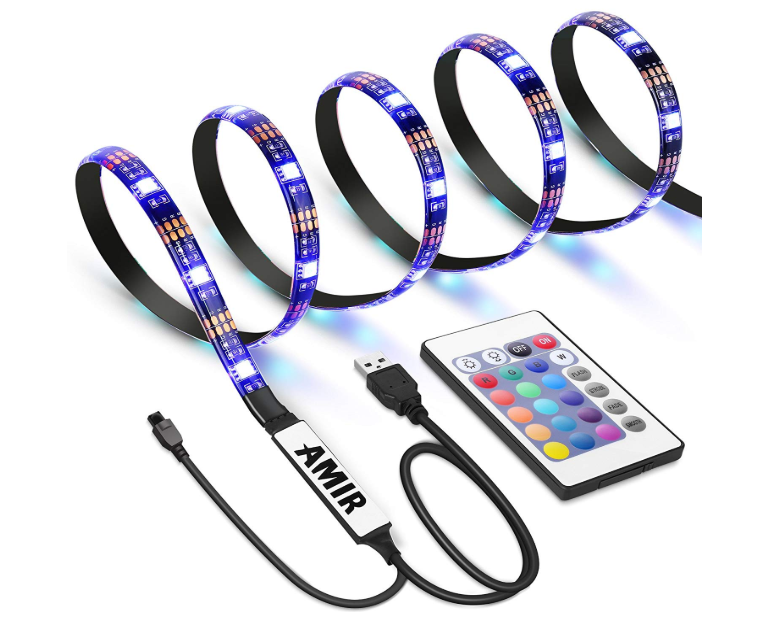 This set can also be used in restaurant, cafes and such if you are to add more decoration to your place. You are also required to do some assembly as well with some hardware packs given along the pieces. The table and the chairs are made to resist well with rust and corrosion and it can withstand well with any harshest weather conditions which means it will stay with you for a long period of time. If you have the beautiful garden on your backyard, then we are sure you want to spend time watching the view. 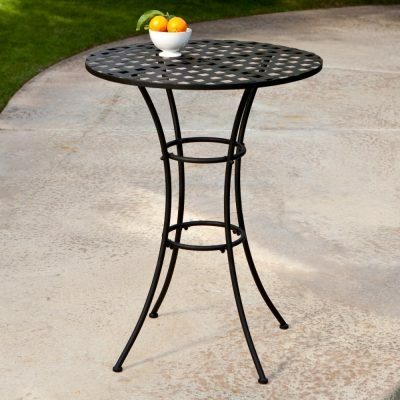 This Giantex metal bistro table will create a cook vibe for your garden. 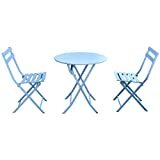 A set includes a table and 2 chairs which are all crafted by high quality steel that ensures durability and stability to the bistro set. Both chair and tables are designed to be foldable for easy moving as well as storing. To add more, the top surface is reinforced glass that can prevent scratch and allow you to clean much easier than the other. There will be no assembly required and it will always be ready to use. This is the powder coated bistro set that is equipped with steel legs that ensure to get itself away from rust and stay for long time. The chairs are designed with curvy arms and legs that make your garden look elegant. Made from well-knitted fabric, the chair top and upholster will have a long lifespan and can prevent itself well from rust and scratches and more importantly can hold up to 250 pounds. Featuring a tempered glass top, this is the square bistro table outdoor highly recommended. 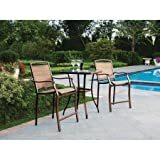 We would like to move on to another great bistro table and chair sets again from Giantex. Power coated steel is chosen as the material to build up this bistro set for the sake of durability and strength. The table and chairs still stay strong under any weather condition and especially resist with rust perfectly. 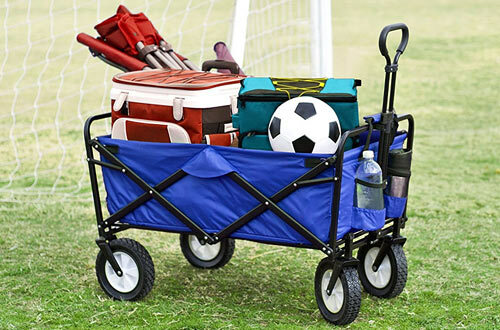 This set is made to be light in weight and be foldable to ease the movement and storage. Some assembly is needed at first with the manual and accessories offered in the same pack. There are 7 color options you can choose base on your favorite color or the color that fit best with your garden environment. 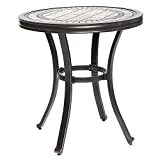 If you have seen this one in person, you will never spend more time looking for other garden bistro table. It is the combination of wrought iron frames and power coated finish that is guaranteed to last for long. On the top of the table, traditional woven pattern is chosen to be the style with an umbrella hole ready for shade. This set comes in classic mode which is perfect for the one who want a simple style but fir best with their beautiful garden. Have a small patio or deck space? Consider this Belham Living contemporary outdoor bistro table. The small bistro table is supported by a sturdy and rust resistant steel frame and a power coated finish that gives it an elegant touch. It has a wide base in a traditional bistro styles. The hand laid mosaic table top features a multicolored design that crafted to look like wood grain and provides plenty of space for drinks and snack. This set is perfect if you are having a small space or you can used this on your apartment balconies. This Coral Coast marina mosaic bistro set is a truly unique bistro tables. A wave pattern is formed by hand placing the soft blue and aqua tiles in a durable grout to create a fantastic design. This mosaic design is also featured on the back of each char creating a set that is guaranteed to impress. 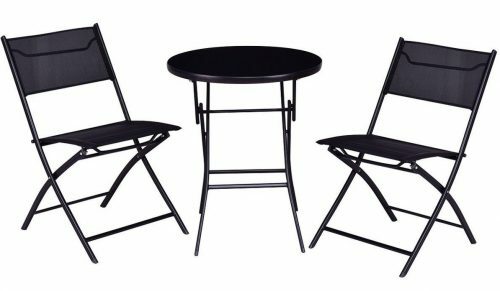 The solid iron framed is finished with a black powder coat on all pieces to ensure durability of the table set and prevent rust. Cleanup is also quick and easy and all you need is water and a soft cloth for drying. This one is ideal for outdoor morning coffee. 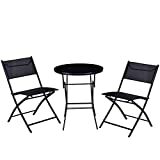 You can trust this bistro table set durability based on high quality building material. 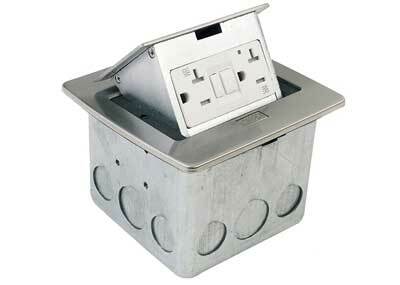 It is constructed with strong cast aluminum that will last for many years. This outdoor cafe table is designed with elegant European style which is perfect for serving breakfast in the garden. 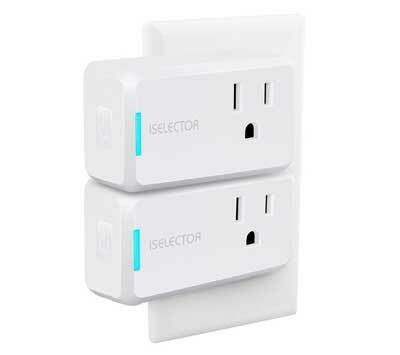 You need only a few minutes to install this one up since the accessories and manual are already there in the package. 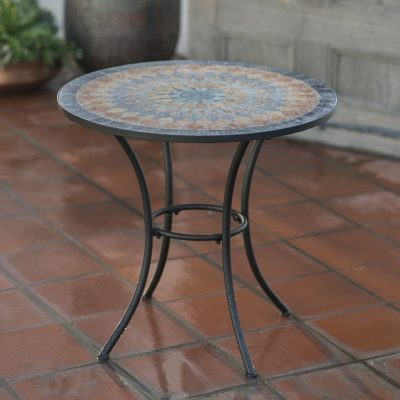 Enjoy the European look with this rust resistant cast aluminum bistro table set. Been the last best one in our review, Cloud Mountain also offers the best outdoor bistro tables on the market. For long use, they have chosen the high quality steel that is durable and resist well with rust to construct the frame of the table. There is also an umbrella hole on the top surface so that you can still stay outdoor without getting annoyed because of the sunlight. 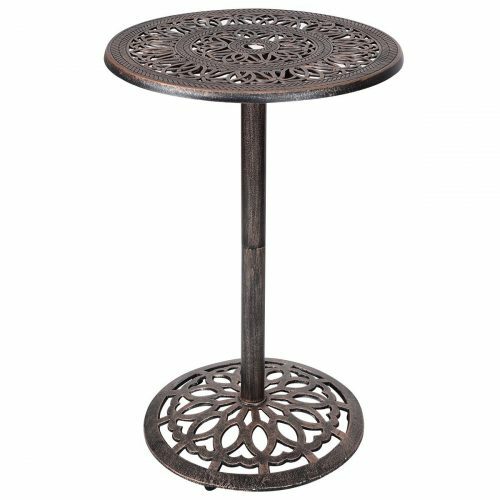 It is light in weight and features the sturdy design which allow this table fit best in any space of your garden. Easy to assemble and easy to clean. Best for porch, poolside, garden or patio. Enter full relaxation mode in your garden with these best outdoor bistro tables above. 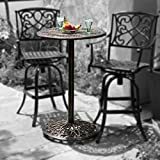 These bistro table and chair sets not only come to just allow you to sit and enjoy your meal or drink but at the same time add more decoration to your garden or balcony as well. They are all crafted in the perfect shape that fit well with most environments. Every one of them is strong and has a long lifespan even if they are used indoor or outdoor. No more delay, choose one and enjoy the view of the garden as long as you want.